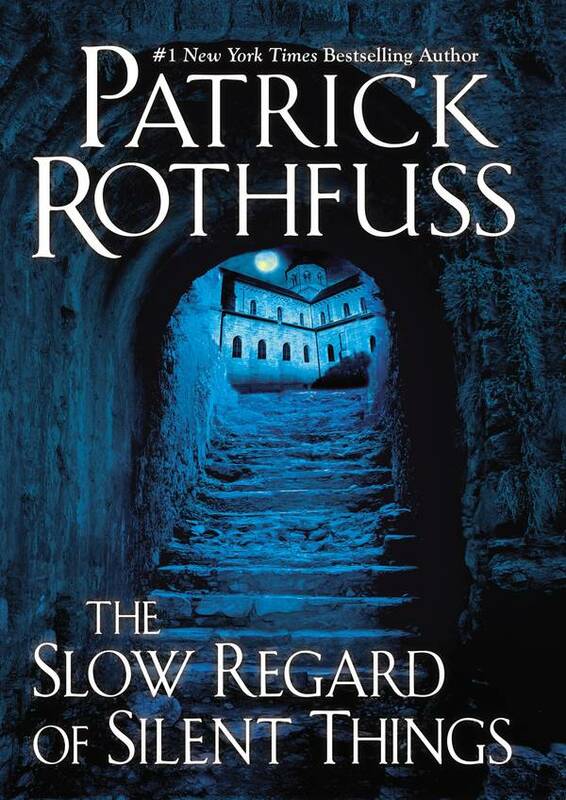 One thing I would like to note before I get into this review: The Slow Regard of Silent Things is not the 3rd Kingkiller Chronicle book. I knew this before buying it, and I will not be reviewing it based on any expectation that it was. I will also not be reviewing based on the price/page ratio, as many others have seen fit to do. I’m concerned with the words and the content of the novella, and given what I know of Rothfuss and how/why he published this novella, I don’t in any way think it’s just a money grab. Outside of this paragraph, I’ll not be mentioning it again. Slow Regard is a very, very unique story, both in content and in style. The story is told solely through Auri’s eyes, and it’s a glimpse of her daily life. There’s no other characters with whom she interacts directly, and there’s nothing that could be considered dialogue. The plot does not follow a typical structure, though it does, in my opinion, at least have an arc where there is a goal to be achieved, a goal that drives the actions in the novella. Instead of the wider view of the world we see in many stories, Slow Regard drills down into Auri’s head, allowing us to get to know her intensely personally. I think the most accurate description of it that I have seen is that it is “the story of a broken girl trying to make her way in a broken world”. Auri is what I would describe as OCD, though that’s probably not psychologically completely accurate. But her tics, her obsession with getting everything perfectly right and putting everything in its place, they show a side of her that we don’t often get to see in stories, where if a character is broken, that means they kill people, or they’re always getting drunk, or they have some other kind of problem. Auri’s unique viewpoint hit very close to home for me. I feel many of these same urges—just take my bookcases for example. I’m constantly rearranging them, and every new book I obtain is an excuse to allow myself to move at least an entire shelf of books around to try to put them in their proper place. We not only get an inside view from a beautifully unique character, but also Rothfuss’ trademark prose. There are no specific quotes that come to mind, but Rothfuss is renown for his way with words, his perfectly crafted sentences and beautiful turns of phrase that really bring the story to life. Even (arguably) without an overarching plot or character interactions, the story is made fascinating and utterly readable by Rothfuss’ prose. People often say that if their favorite author wrote the phonebook, they would read it. Rothfuss may be one of the only author who could make that worthwhile, for he seems to be able to take even the most mundane words and link them beautifully. Thanks to his combination of prose and a very unique character, Rothfuss managed to mess with my head in a way that few other authors can. I think, perhaps, the only other book that so twisted my view and put me so utterly and absolutely inside the head of someone who isn’t quite right, was Mockingjay. I expect it’ll be the same upon rereads, Auri’s intense desire to put things in their proper places overwhelming my normal doings and mindset. It’s a beautiful, powerful story because it can do this to me. We all know that Rothfuss has been struggling to finish Doors of Stone for years now, with a very GRRM style gap between his books. Several people have postulated, and I agree, that Slow Regard is something of an extended analogy for this process. Rothfuss is a perfectionist, as his language shows, and I think Auri is, perhaps unconsciously, an extension of this. Her obsession for putting things in just the right place mirrors Rothfuss’ own desire to use just the right words, the way he’ll sit there, arranging and rearranging prose until everything is exactly right. His desire to not let anyone see it until he has everything done. It makes sense to me. And I fully understand that he needs as much times as he wants to write the third book. There’s plenty of other authors to read in the meantime who produce books much more regularly. I would be remiss to finish this review without mentioning the delightful illustrations that appear on several pages of the novella, illustrations done by Nate Taylor. They add to the atmosphere of the story, and make it feel just a little more real. I’m glad they’re in there, and I really do feel that the enhance the experience of reading the book. In summary, The Slow Regard of Silent Things is a very strange novella that does not follow the known rules of fiction writing, with no clear plot, character interactions, or dialogue, but is still made utterly fascinating by the combination of Auri’s unique mentality and Rothfuss’ amazing prose. This story will not work for everyone, especially if you don’t connect with Auri, but it worked for me, and any story that can utterly enchant me for 20 pages while the protagonist makes a bar of soap deserves a full five of five stars.